The greatest strength of Spot Hero which it should focus on a city like San Francisco is affordability and living to the concept of a guaranteed reserved parking spot with its pool of partner garages. At the recent San Francisco Auto Show this last Black Friday madness, the company showcased for the first time which gave the venue of interfacing with new and current user customers. 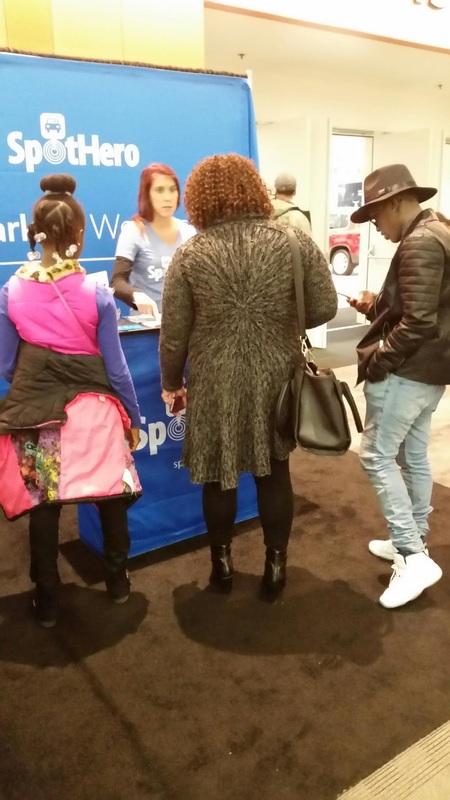 At their booth at Moscone Center North people flock with excitement to share they indeed got the reserved parking spot when the initial show attendees this year was approximately 12,000 on the first few hours of black friday rush. Kudos to its 29 year old CEO Mark Lawrence whom I've monitored way back their Interactions with VC's..It's great to hear the new generation Young Entrepreneurs evolves niche marketing using applications technologies. At the show the company offered a great $15 instant parking credit to new spot hero app users. From hereon, my recommendation is living to the promise of continuously improving it's technology for its App, make the application. as convenient even for consumers starting on smart phone devices and the great niche live to the promise of "Guaranteed Reserved Parking Spot" . This promise will entail a lot of work and customer service but in the end a huge metropolis like San Francisco may be this company greatest potential having presence in 14 major cities compared to San Francisco based luxe valet of whom is only in 3 cities. More wishes and as always this is the talent of young entrepreneurs being creative and consumer driven in focus.